Listen to full audio podcast of this blog. Alfaxalone, marketed under the name Alfaxan® by a company called Jurox, is a neuroactive steroid with anesthetic properties. 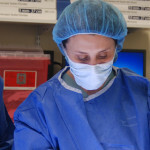 It recently became approved for induction of anesthesia in dogs and cats in the United States. It has, however, been used as an anesthetic agent for over a decade in many European countries, as well as Canada, New Zealand, and Australia. Even though alfaxalone is a steroid molecule, it has not been shown to have any prednisone or dexamethasone classic glucocorticoid or “steroid-like” actions. It induces unconsciousness through interaction with GABA receptors, not unlike other anesthetics, facilitating Cl– conduction and hyperpolarizing cell membranes, making them less likely to respond to stimuli. Alfaxan® is normally administered IV (intravenous), although IM (intramuscular) administration for fractious cat sedation has been studied and for certain circumstances appears very reasonable; IM use in dogs should be weighed against the large injection volumes required. The indication and intention of Alfaxan is for INDUCTION of unconsciousness pre-intubation in dogs and cats, similar to the intended use of propofol, etomidate, or ketamine benzo mixes. This drug is therefore an induction agent, not a premedication, and because of this, it is capable of profound cardiorespiratory depression like any induction agent. 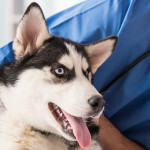 Peer-reviewed safety studies in dogs and cats have reported Alfaxan® to have a high therapeutic index, and a rapid onset of action resulting in prompt, smooth inductions and recoveries from anesthesia. When administered IV at a titrated dose of 2 mg/kg (meaning, 2 mg/kg lean weight is withdrawn into a syringe and administered “to effect” to obtain unconsciousness), this drug produces unconsciousness within 1-2 minutes, allowing intubation and progression into inhalant (gas) anesthesia. The duration of effect is dependent on premedication. In heavily premedicated patients, alfaxolone-induced unconsciousness may last up to 15-30 minutes from a single 2 mg/kg bolus. In lightly premedicated patients, Alfaxan® unconsciousness may only last up to 5-10 minutes from the same bolus. On average, cats may have a longer unconsciousness than dogs from a single bolus injection. This drug anecdotally appears to have a wider margin of safety than propofol from a single dose because of its increased cardiac output, mostly due to normal to mildly increased heart rate. Respiratory rate remains normal or is decreased mildly, less so than with propofol induction. Both cardiovascular and respiratory effects are dose-dependent, meaning the faster alfaxalone is administered (i.e., over 5 seconds vs. over the intended 30 seconds) and the higher the dose (i.e., above the intended 2 mg/kg), the more profound the cardiorespiratory depression. Accordingly, “poorly” premedicated or unpremedicated patients require those higher doses and faster boluses of the drug, so they have more cardiorespiratory depression. “Appropriately” premedicated patients require lesser total doses and slower delivery of those doses, hence they have less cardiorespiratory depression. Alfaxolone is commercially-available as a 1% aqueous solution (10 mg/mL) under the trade name Alfaxan® .Unlike propofol, Alfaxan® is a colorless/clear agent. No evidence of the allergic type reactions previously cited with the Saffan® formulation, which was prevalent in New Zealand and Australia in the early 90s, has been reported with the current product Alfaxan®. The formulation has no preservatives and the label recommends that any unused portion of the product be discarded within 6 hours, but Australian and European use has allowed for use of unused portions for up to a week under refrigeration. Here within the East Region Hospitals, we will recommend keeping an opened vial of the agent refrigerated for 24 hours, then discarding. Alfaxalone is considered a class IV controlled substance by the Drug Enforcement Agency and new vials should also be kept under double-lock tabulated security. Alfaxalone has been used clinically in an extra-label manner in a variety of species including small mammals, rabbits, sheep, fish, amphibians, and reptiles. It has been used successfully in puppies and kittens > 4-6 weeks of age, in brachycephalic dogs and cats, C-section and trauma patients, greyhounds, and in other breeds anecdotally-reported “sensitive” to anesthesia such as Persian cats and Boxers. It has been administered repetitively and in continuous rate infusions in both dogs and cats without evidence of hematologic, hepatic, or cardiovascular issues, nor prolonged recoveries thanks to its rapid plasma clearance. Recovery quality has been reported to be good if the patients are premedicated appropriately, if the agent is used intravenously, and the doses of Alfaxan® kept in the range of 1-2mg/kg. On the other hand when patients are not premedicated, or when the Alfaxan® dose is higher, the inductions and recoveries can be excitable, with patients becoming sound sensitive and somewhat hypereactive. I would recommend that intravenous Alfaxan® be used for anesthesia induction in higher risk ( or unhealthier) patients or in patients whose cardiorespiratory or neurologic status is questionable. Fentanyl/midazolam inductions can still be used for these same cases, but a randomized clinical trial comparing these inductions to Alfaxan® for higher risk, ASA III-V cases showed little difference between blood pressure, respiratory indices, or quality of induction/recovery between the two groups. Propofol and ketamine/midazolam can still be used in lower risk (healthy) patients. Intramuscular Alfaxan® “sedation” should be used for sicker, aggressive or testy cats only, and in these patients, Alfaxan® needs to be coupled with an opioid, a benzodiazepine, or both. If you contemplate using Alfaxan® intramuscularly, please consult with me or a VTS anesthesia tech before you do so to gain a handle on the nuances associated with IM use of this drug. There are no studies at this time proving it is a safer agent than propofol or any other induction agent. It is an option for induction of your patient, along with propofol, ketamine/valium, ketamine/midazolam, ketofol (ketamine and propofol), and fentanyl/midazolam/ketamine combinations. This drug is not analgesic. Therefore, it requires a premedication prior to use. It is not a sedative. Therefore, it requires a premedication prior to use. It is an induction agent. Therefore, it is capable of same outcomes as propofol: unconsciousness, apnea, sudden death, cardiocerebrorespiratory depression, especially if given to poorly premedicated patients, if administered quickly, and if administered in large doses. This drug can induce a patient after premedication with all opioids, dexdomitor, acepromazine, benzodiazepines and can be used in patients in which propofol, ketamine, and etomidate have just been administered. The sedation from a single injection of the agent is of short duration, but this sedation can still be very depressant and prolonged depending on the usual variables, namely patient signalment, drugs already present in the patient’s circulation, and patient problem list. Appropriate anesthetic monitoring of patient, maintaining an anesthesia record, and recovery monitoring are required for use of alfaxalone, similar to any other anesthesia agents. Do not give IM to large canine patients. Cats that are not premedicated well may have excitable recoveries. Beths T et al. (2013). Clinical evaluation of alfaxalone to induce and maintain anesthesia in cats undergoing neutering procedures. Journal of Feline Medicine and Surgery. Doebeli A, et al. (2013). Apgar score after induction of anesthesia for canine caesarean section with alfaxalone versus propofol. Theriogenology. Ferre, P. J., et al. (2006). Plasma pharmacokinetics of alfaxalone in dogs after an intravenous bolus of Alfaxan-CD RTU. Veterinary Anaesthesia and Analgesia 33(4): 229-36. Gieseg, MA et al. (2013). A comparison of anesthetic recoveries in cats following induction with either alfaxalone or ketamine and diazepam. New Zealand Veterinary Journal 2013. Gil, A. G., et al. (2012). Corticoadrenal Response and Heart and Respiratory Rates after Propofol or Alfaxalone Anesthesia in Rabbits. Journal of the American Association for Laboratory Animal Science 51(5): 694-5. Goodchild, CS et al. (2014). Phase Ic trial comparing the anesthetic properties of Phaxan and propofol. ASA abstract 2014. Jones, K. L. (2012). Therapeutic Review: Alfaxalone. Journal of Exotic Pet Medicine 21(4): 347-53. Maddern, K., et al. (2010). Alfaxalone induction dose following administration of medetomidine and butorphanol in the dog. Veterinary Anaesthesia and Analgesia 37(1): 7-13. Muir WWM et al (2009). The cardiorespiratory and anesthetic effects of clinical and supraclinical doses of alfaxalone in cats. Veterinary Anesthesia and Analgesia. Muir WWM et al (2008). The cardiorespiratory and anesthetic effects of clinical and supraclinical doses of alfaxalone in dogs. Veterinary Anesthesia and Analgesia. Navarrete-Calvo, R., et al. (2014). Cardiorespiratory, anaesthetic and recovery effects of morphine combined with medetomidine and alfaxalone in rabbits. Veterinary Record 174(4). O’Hagan, B. J., et al. (2012a). Clinical evaluation of alfaxalone as an anaesthetic induction agent in cats less than 12 weeks of age. Australian Veterinary Journal90(10): 395-401. O’Hagan, B. J., et al. (2012b). Clinical evaluation of alfaxalone as an anaesthetic induction agent in dogs less than 12 weeks of age. Australian Veterinary Journal 90(9): 346-50. Pasloske, K., et al. (2009). Plasma pharmacokinetics of alfaxalone in both premedicated and unpremedicated Greyhound dogs after single, intravenous administration of Alfaxan (R) at a clinical dose. J. Vet. Pharmacol. Ther. 32(5): 510-3. Psatha, E., et al. (2011). Clinical efficacy and cardiorespiratory effects of alfaxalone, or diazepam/fentanyl for induction of anaesthesia in dogs that are a poor anaesthetic risk. Veterinary Anaesthesia and Analgesia 38(1): 24-36. Quandt, J. (2009). Sedation and analgesia for the critically ill patient: Comprehensive review. Proceedings; ACVIM. 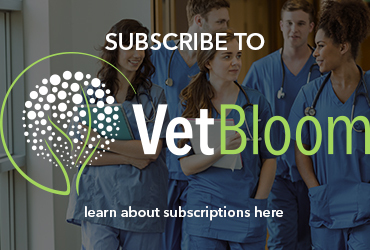 accessed via Veterinary Information Network; vin.com. Ramoo, S., et al. (2013). Sedation of hyperthyroid cats with subcutaneous administration of a combination of alfaxalone and butorphanol. Australian Veterinary Journal91(4): 131-6. Roan, R. (2009). Use of alfaxalone in rabbits. Veterinary Record 164(6): 188-. Strachan, F. A., et al. (2008). A comparison of microbial growth in alfaxalone, propofol and thiopental. Journal of Small Animal Practice 49(4): 186-90. Warne LN et al. (2015). A review of the pharmacology and clinical application of alfaxalone in cats. The veterinary journal. Whittem, T., et al. (2008). The pharmacokinetics and pharmacodynamics of alfaxalone in cats after single and multiple intravenous administration of Alfaxan® at clinical and supraclinical doses. J. Vet. Pharmacol. Ther. 31(6): 571-9. Zaki, S., et al. (2009). Clinical evaluation of Alfaxan-CD®as an intravenous anaesthetic in young cats. Australian Veterinary Journal 87(3): 82-7.